Celebrating the UN International Day of Peace with two days of PUPPETS, PEOPLE & PEACE. 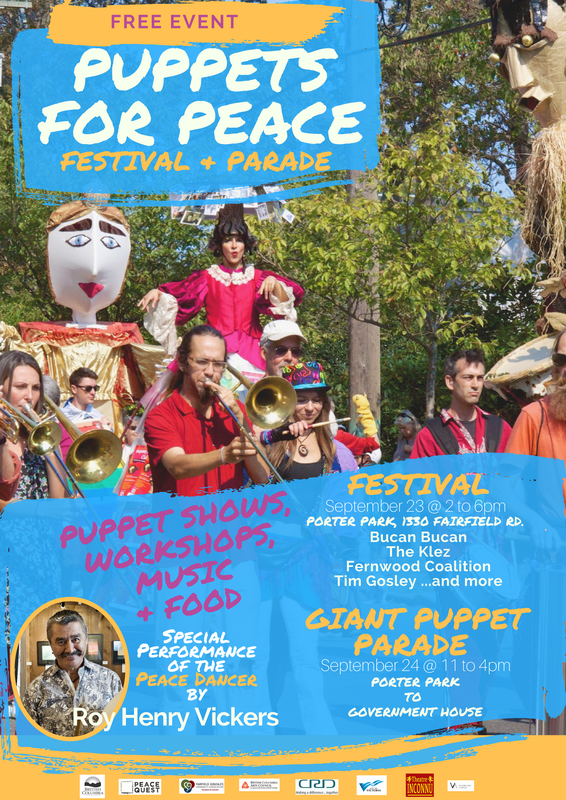 PUPPETS FOR PEACE is joining the Fairfield Gonzales Community Association & Government House of BC to celebrate peace and justice. This year, we are creating peace through the celebration of our Salish Sea, First Nations stories with Roy Henry Vickers’ Peace Dancer, and diversity. All are welcome to this intergenerational, free community event. Volunteer – carry giant puppets and facilitate the puppet-making station. 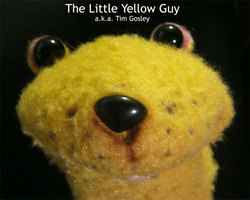 Tim Gosley is the creator and director of Puppets for Peace Festival & Parade. He is a Gemini-award winning Canadian puppeteer with years of performance in well-known puppet television programs, such as Fraggle Rocks and Canadian Sesame Street.